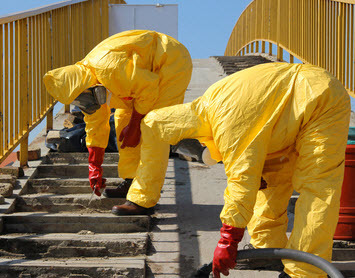 We handle all types of sewage cleanup & remediation quickly and professionally. Sewage damage is a really major issue, particularly if the sewage water leaks within your own property. This black or gray water is harmful mainly because it contains fungi and bacteria and may cause severe sickness or discomfort. Our sewage cleanup technicians follow the proficient guidelines of the Institute of Inspection, Cleaning and Restoration Certification (IICRC). We can immediately send them to locate your sewage leak, cleanup and repair it, and treat all contaminated area and building materials. Our well-trained technicians can quickly remove sewer backup water, sewage and dirt from both under and inside your home or business utilizing state-of-the-art equipment. We can also treat the entire contaminated areas to avoid the spread of biohazards such as bacteria, viruses, parasites, fungi and mold growth. Additionally AllStates Restoration guarantee each of our services. If one of our sewage clean-up services isn’t done correctly for whatever reason, we’ll return and correct it until you are completely satisfied, Guaranteed. Cat 3 Water – Grossly unsanitary water containing pathogenic agents, arising form sewage, flooding or other contaminated water sources and having the possibility of causing discomfort or sickness if consumed or in contact with humans. Black water includes sewage and other contaminated water sources entering or affecting the indoor environment. Category 2 water that isn’t removed promptly from the structure may be reclassified as category 3 water. Toilet back flows that originated beyond the toilet trap are viewed as black water contamination, inspite of visible content or color. Sewage/rainwater mixed; and Rising water from streams or rivers. Such water sources have silt and organic matter into structure building and create black water conditions. If you are in need of sewage clean-up and removal for your property or commercial building, call us today! 732-722-5211 for a free estimate. 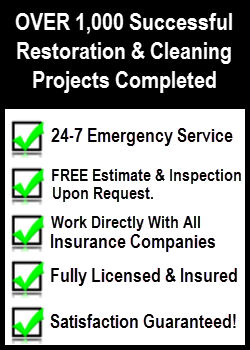 AllStates Restoration Services offers 24/7 response, every day of the year. Call now. 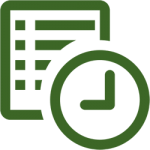 To schedule your NJ Sewage Cleanup Consultation, Evaluation and Estimate, Call Today! 732-722-5211 or click here. We guarantee your sewage clean ups will be done right. Our IICRC-certified technicians have been specially trained to extract and remove sewage, mud and sewage water. We will remove and properly dispose of porous materials such as furniture, carpets, bedding and any other items which have absorbed the sewer backup water. After the sewage cleanup is gone, air movers are placed in to blow and move moist air. This is done so that our commercial grade dehumidifiers can absorb up the moist air dry out your home, business or commercial building while preventing mildew and mold growth. Sewage can backup to your property in several ways. A broken sewer main line, clogged drain, a flood and even an overflowing toilet can all lead to a smelly, filthy bio-hazardous mess. Also, sewage backup may cause dangerous fungus growth, which can be a tremendous health risk by itself. 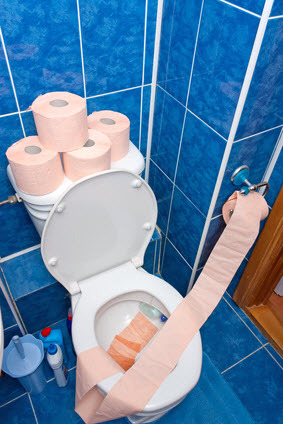 Solid Flushes – The most common cause of sewer backup is a blockage caused by things like dirt, hair, bones, kitty litter or grease build-up – or by the flushing of solid-rock items which are too large in size for the pipes to handle like sanitary napkins, Paper towels and disposable diapers. Structural Issues –This will include problems with sewer service lines like holes, cracks, pipe collapses, sags along the line, out of alignment pipe and offset or open joints. Tree Root Penetration – Tree roots can enter the service pipe at joints and travel a long way, plugging the waste-water flow as it goes. These roots may also cause structural problems as they crack pipes once they grow. Clogged of Sanitary Sewers – A blockage can take place in a municipality sanitary main and if this blockage isn’t discovered in time then sewage from the main-line can back up through the floor drains into your businesses or homes. Flooding of Sanitary Sewers – During heavy rains sewer lines quite often fill up with rain water and mud faster than they drain, which often cause sewage backup as the water flows back through floor drainpipes causing overflows. Never put grease down garbage disposals, drain pipes or toilet. Never flush disposable paper items like sanitary napkins or paper towels down the toilet. Avoid planting trees that may spread roots that invade and clog up your system. If the lateral line has a jointed pipe system, consider whether the roots of trees could infiltrate the pipes. Replace your sewer line with new plastic pipe to avoid tree roots from entering the line. Do not connect any drains or sump pump in to the sewer line. Locate and keep easily reach the sewer cleanout in your front yard. Modify the plumbing line so that water is pumped to an upper level drain, eliminating the drains in the lower level. Complete occasional cleaning to avoid grease, debris as well as roots in your service laterals. Install a backflow prevention valve, which allows sewage to circulate out of your sanitary lines, but it will not back into the lines. These helps to protect against not just individually caused instances, but in addition those that come from municipality line issues, as well.